If you are in need of a removal company but would like information about hiring movers, then you have come to the right place. On this page, you will find the costs, the duties, and other important information about movers that you need to know before hiring someone. You have multiple options when it comes to moving house, each differing on the level of service that they can offer. The type of move you need will also influence your choice. For example, if you are moving from a 1-person flat, hiring a van with a couple of movers will be enough. The tables below show the average costs of both long and short-distance moves. In addition to the rates for hiring movers and extra packing costs, the price of removal companies depend on what extra services you need. This includes handyman, storage, cleaning, or piano removal services. A more comprehensive breakdown can be found on our removal costs page. Because of the numerous factors affecting costs, different companies will calculate their prices in their own way, making it difficult to obtain accurate or consistent estimations. The best way to get a general idea of costs is to compare the prices of multiple removal specialists in your area, with potential savings of up to 40% on your total moving costs. Complete our form, send a quote request to companies in your area, and receive up to 6 offers. The request takes only 1 minute and is non-binding, meaning that if you are not satisfied with the quotes, you can decline the offers. Movers will assist you in transferring your valuables, ensuring that they arrive safely and on time. While movers’ main duty is to transport the contents of your home to your new destination, they also offer other services to help make your move as stress free as possible. Disassembly and reassembly: Moving companies can take care of disassembling your furniture to make them ready for packing. At the other end of the trip, they will also assemble your items. Packing services: We know that packing is one of the most time-consuming tasks when moving. That is why removal companies will pack all your requested items so that you can spend your time doing more important things. Cleaning: Removalists have cleaning services to ensure that your old home is completely ready for the new tenants or owners. This service covers your entire home and includes hoovering of rooms, dusting, and kitchen and bathroom cleaning. Storage: If there is an unexpected delay in receiving the keys to your new house, or if you would just like to keep your items somewhere safe while you prepare your new home, movers have the storage capabilities. Movers have large, secure facilities to store your items for short or long-term periods. Specialty items and pianos: If you have fragile items that need extra protection, movers have the equipment and tricks to ensure they will not be damaged during the move. Also, some companies have a dedicated service for transporting pianos. Request and compare at least 3 moving quotes. This way, you know the appropriate price range for removal services. This also helps with determining the company that best matches your needs and moving budget. Look for companies with the proper credentials. The best movers are members of trade organisations such as the National Guild of Removers and Storers (NGRS), the British Association of Removers (BAR), or the Fédération Internationale des Déménageurs Internationaux (FIDI). This means that the company has passed the top quality standards of each organisation. Ask friends and family for removal company recommendations. Hearing first-hand accounts of hiring movers from people you trust is a great way to review companies. Arrange a house survey. These are usually free of charge and benefit both you and the movers. You will receive a more detailed breakdown of prices and the removalists will be able to better plan the logistics of your move. 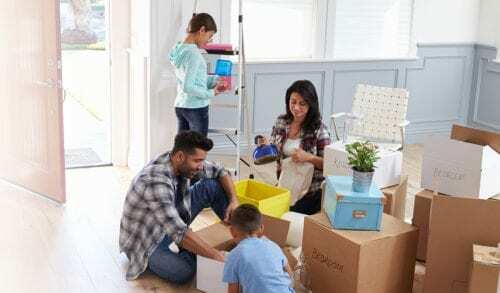 Use these tips to find the best moving company for you. If you follow these tips, you will be able to determine which company is the best choice and you will rest easy knowing that your prized possessions are in good hands. Are you looking for a reliable moving company but do not want to pay too much? The best way to save on moving costs is to compare quotes. Since there are many removal companies, each with their own method for calculating prices, it is in your best interest to compare multiple price offers. Enter your information here and soon you will obtain up to 6 quotations from movers in your area. The request takes 1 minute, is completely free, and you have no obligation to accept any offer until you are satisfied.